The carry case is very robust and clearly top quality both inside and out. The case was sealed and each individual item was sealed inside too. The control box looks very professional and is easy to hold in one hand. The control knobs are easy to use, as are the buttons; all of which is fully explained in the instructions provided. I set up and used the Pebble for the first time and was absolutely BLOWN AWAY by what it's capable of delivering, and the sensations it produces. WHY did I play the "Do I/Don't I?" game for so long? - For anyone asking the same, just buy one! You will not be let down! The supplied pads are good but tend to come slightly unstuck at the edges which changes the feeling somewhat - loops are much better as they don't move. 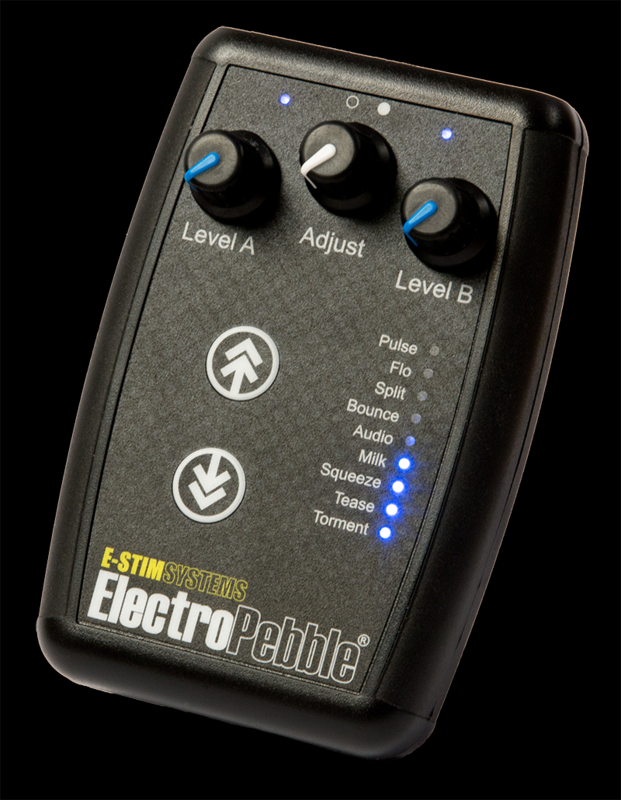 The modes really do all do different things, and although I've never experienced e-stim before, I'm happy I went for the Pebble over the Series 1 as it gives you so much more! The only thing I could say that could be an 'issue' for some (that definitely isn't a negative of the product itself, as I can't find any at all! ), is that when the plain and unassuming package was delivered, the courier's handheld computer had "E-STIM SYSTEMS" in large text on the screen. All in all I'm extremely happy with this product and the service I've received, and I'd say to anyone looking to buy one... Do it now, this minute, and buy some spare 9V batteries; you're going to need them as you'll have so much fun!